Basketball Tryout dates coming soon. The purpose of basketball is to learn and practice good life values in a fun, and competitive, way. In basketball, you can create memories like no other. Basketball helps with coordination, and it also happens to be a great workout. Of course, like all sports there are injuries and pricey expenses; however, as many people agree, it is definitely worth it. One of the many electives we offer here at Warren is band. In band you will express your musical talent with instruments. Some of the pluses about band are: you will learn how to read music, learn to play an instrument, and express your feelings through the songs you play. Unfortunately, band does take quite a bit of money out of your pocket. I can assure you; however, everyone who takes it, loves it. Another elective Warren offers is choir. 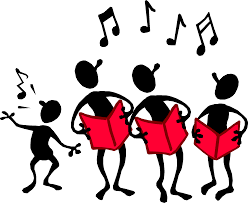 Choir allows you to express your singing talent. In choir you can also join the all-region team. You can learn: how to read music, how to stay on pitch, and you can keep practicing on singing. While it can be stressful, it is all worth while. While Warren offers a lot of electives, we also offer tons of extracurricular activities like Bible Study. In Bible study you can strengthen your bond with God. You also can: get closer to Jesus, fellowship with friends, and enjoy learning about God. Some people may make fun of you for, but you can power through. Musical theater is an amazing thing to be apart of. It allows you to show off both your dancing and singing talent. While the nerve-racking performances can be stressful, when everything is over it just makes you feel amazing. As someone who has participated in musical theater, I am sure you will love it.